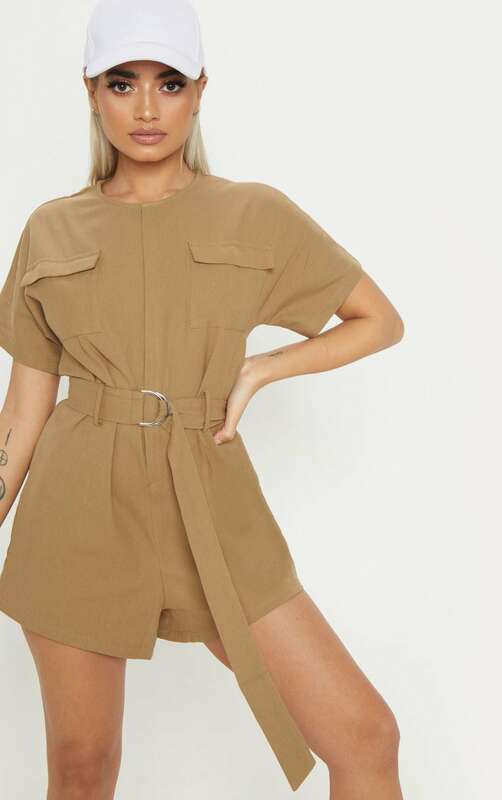 This killer romper is everything we are loving for a night out with your besties doll. 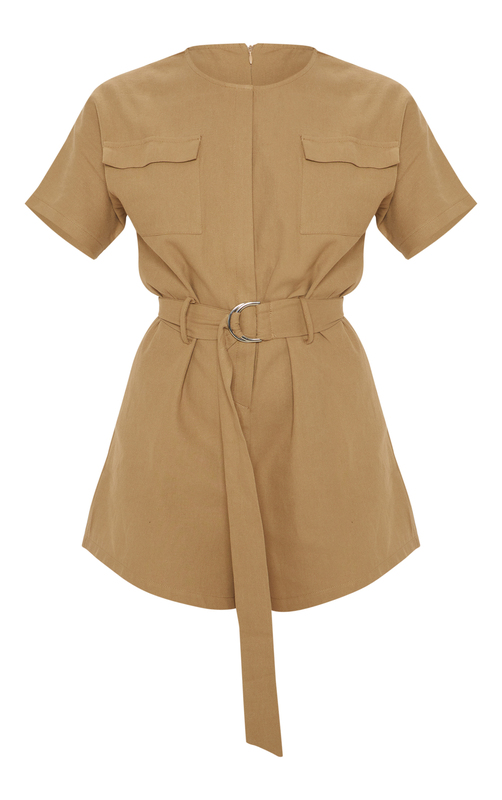 Featuring a stone fabric with utility style pockets, short sleeves and a belted detail, what's not to love? Style with barely there heels for a look we're loving.